Add this to your appetizer menu. 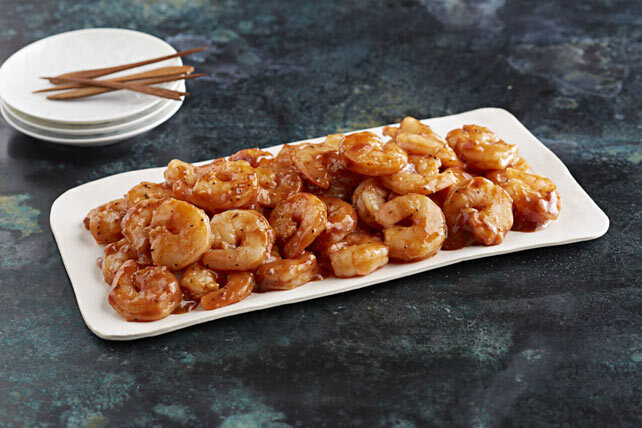 With just two ingredients, this saucy shrimp appetizer still has all the flavour you'd hope for from a Cajun-style dish! Cook ingredients in large skillet on medium-high heat 2 to 3 min. or until shrimp are tender, stirring frequently. Thaw frozen shrimp in the refrigerator, not on the counter top. Or place the sealed package in a bowl of cold water and change the water every 10 min. until the shrimp are completely thawed.